Last year I went on a fun trip to Cuba with a group of girlfriends as part of a people to people cultural exchange. 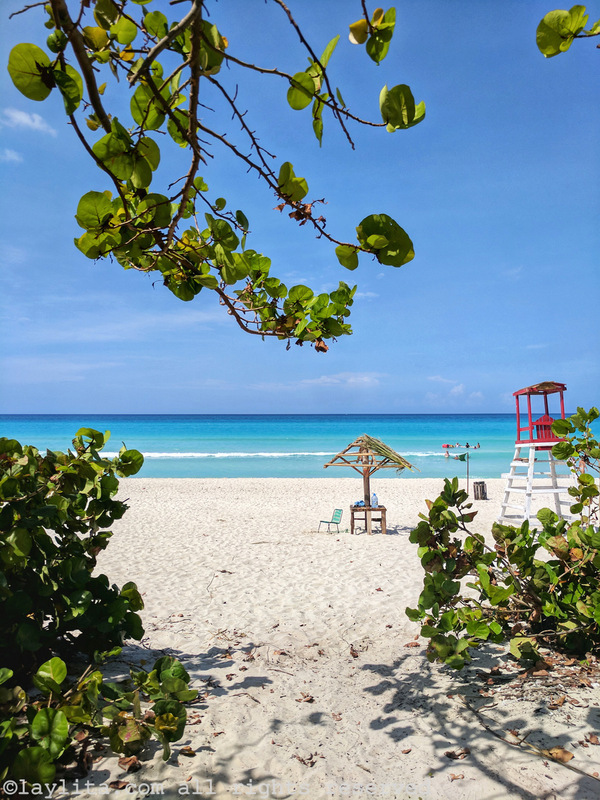 While we spent most of the time in Havana, we had one amazing “best day ever” experience at the beach in Varadero. Varadero is about 2-3 hours away from Havana; we hired a taxi to take us there for the day. On the way our driver took a short detour to show us a beautiful underground water cave called Cueva de Saturno. He mentioned that it’s less known and not visited as much because it’s not on the tourist bus route. 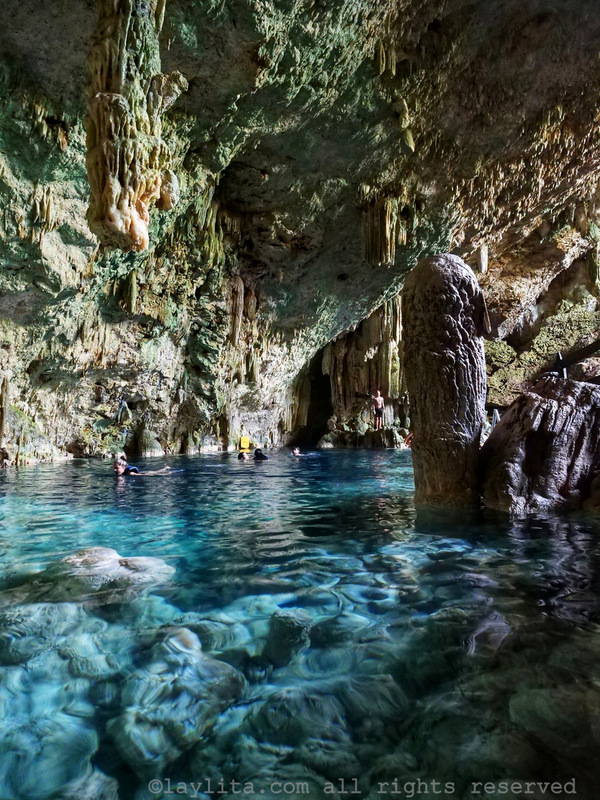 We spent about 30 minutes swimming in the refreshing crystal clear water inside this natural wonder and then continued our route to the beach. 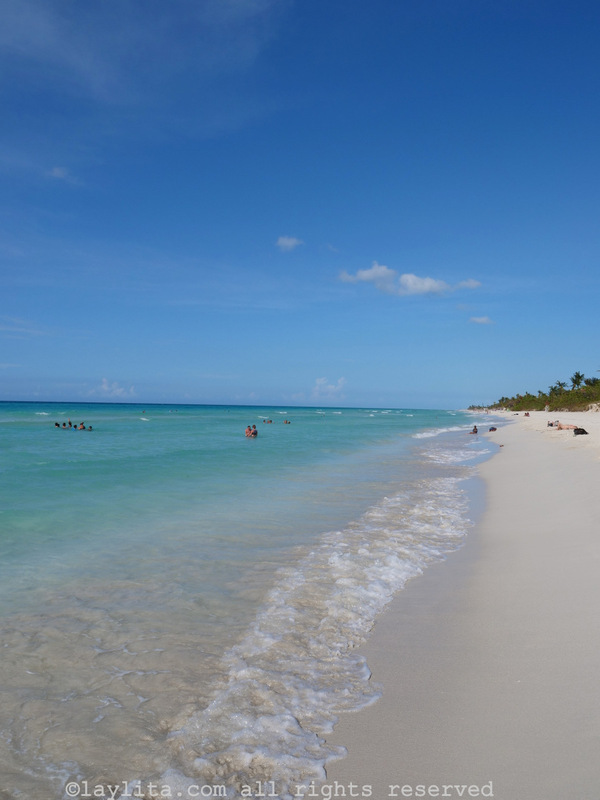 Varadero beach is a long strip of perfectly white sand and calm blue water. We found a perfect slightly shaded spot, rented some chairs, and spent the rest of the day enjoying one of the most beautiful beaches in the world – with mojitos and tropical drinks. One of the highlights was our acquaintance of the day, Lucio – who was wearing lifeguard gear, but also helped us with the chairs/drinks – and even provided a “Cuban” beach shower (pouring containers of clean water over you) to rinse off at the end of the day. 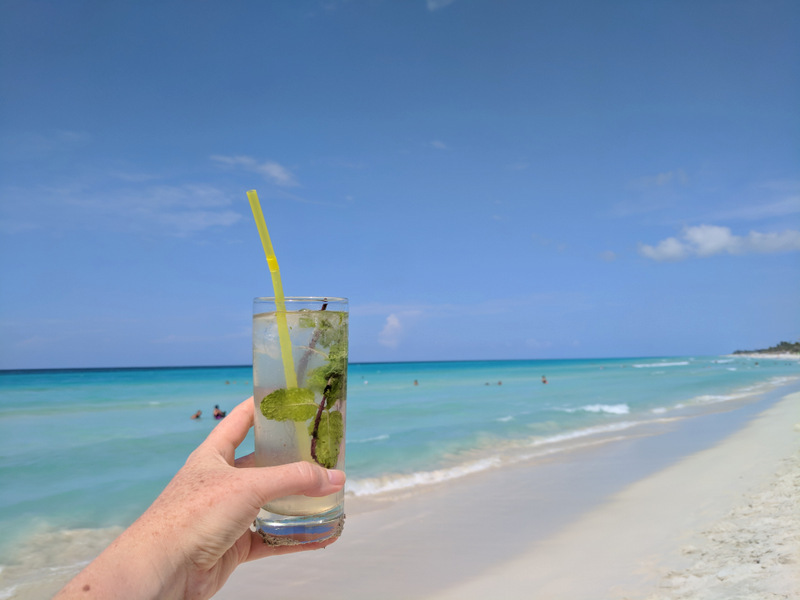 Our beach experience in Cuba was the perfect ending to our trip. It’s hard to describe in words how lovely and relaxing it was, and even photos don’t do capture the full experience. It was one of those days that you wished never ended. After our shower we walked a few blocks to La Bodeguita del Medio restaurant for dinner – this is the sister restaurant of the famous one in Old Havana that is known for being Hemingway’s favorite mojito bar.